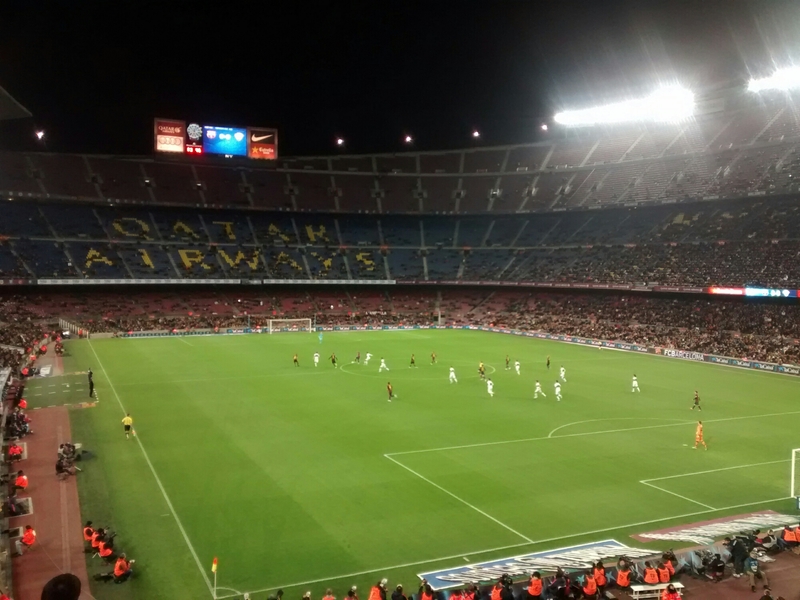 I never ever thought I’d go to a European football game, but Barcelona FC’s b team (which is apparently really good) had a game on Thursday night, so a few of us went. They won! There was a guy with a megaphone in the cheap seats (on the ground behind the goal) who was extremely motivated to foment the crowd, and he brought 20 of the biggest flags I have ever seen and his friend with the drum. They kept the crowd peppy with the Catalan versions of Yellow Submarine and what we think may have been The Offspring’s Get a Job, among many other things. It was an absolute blast.